Minister for Health Leo Varadkar has confirmed that HIQA’s powers will be extended to cover the private sector under proposed new legislation. The Government has given its approval to draft the Heads of a Bill to allow HIQA to set standards, monitor healthcare and investigate incidents in the private healthcare sector, in addition to its current role to monitor the public sector. This would include private hospitals and certain cosmetic surgery procedures. For example, in recent years it emerged that a large number of Irish women were fitted with faulty breast implants. HIQA will also be given an oversight role for research ethics committees for clinical trials involving medicines and medical devices. Both measures will be implemented through new legislation which amends the Health Act 2007. 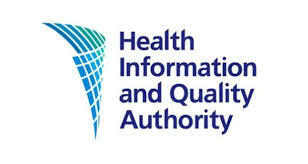 “There is a very strong case to be made to extend HIQA’s powers into the private sector, allowing it to set and monitor standards, and to undertake investigations where necessary. My Department will now draft the Heads of a Bill for Cabinet approval to amend the Health Act 2007 and extend HIQA’s powers,” Minister Varadkar said. “This will help to alleviate public concerns about the safety and quality of some services which are provided in the private sector or independently of the public health service, such as certain cosmetic surgery procedures. “Extending HIQA’s powers is a logical step on the way to a full licensing system for public and private hospitals, so the new legislation will be implemented in advance of the Patient Safety Licensing Bill. My Department has set up aWorking Group comprising the HSE, HIQA and other service providers to advise on the new Patient Safety Licensing Bill. This new oversight role will help to ensure high standards of research ethics approval, and will promote and protect the rights of patients. The move has been welcomed by industry and patient associations and is seen as an essential factor in making Ireland more attractive for clinical trials.